Kew Bridge Works started supplying water in 1838, the Maudslay and Boulton & Watt engine house being built at this time. The engine supplied by Maudslay, Sons & Field then delivered the water to the company’s customers at Paddington.In 1840 and 1842 the two Boulton & Watt engines, which had worked at Chelsea, were re-erected at Kew Works and supplied water to Ealing as well as Paddington. The reservoir and filter beds were constructed between 1844 and 1846 and two small ‘grasshopper’ engines, sited where the Bull engine is now, transferred water from the Thames into the reservoir. 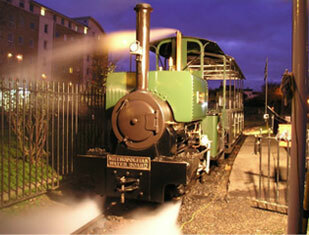 At the same time the GJWWC built the ‘New Engine House’ to house the 90″ engine. The original lattice standpipe tower was built at this time. 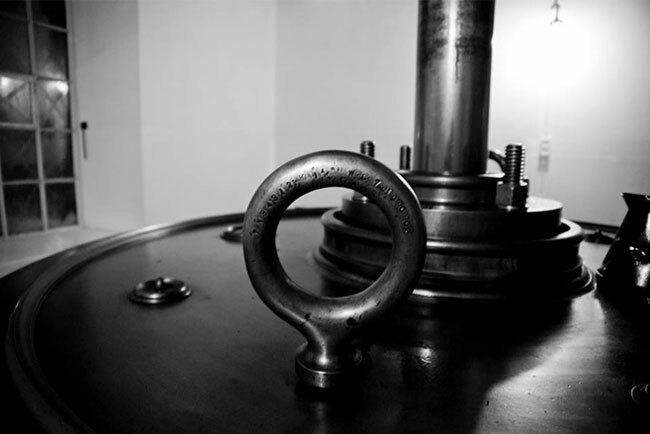 Its purpose was to ensure even pressure in the pumping station and to protect the engines against a catastrophic water mains failure. Once these works were completed the Maudslay and Boulton & Watt engines were converted to the more efficient ‘Cornish Cycle’. 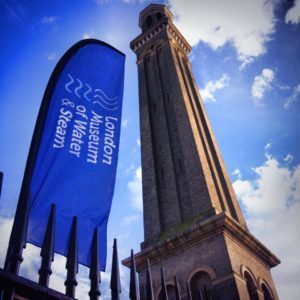 Continued concern about the quality of the water taken from the tidal section of the Thames resulted in the Metropolitan Water Act of 1852 which obliged the water companies to take their water from above Teddington Weir, the tidal limit of the Thames. The GJWWC company built new intake and treatment works at Hampton and the water was then pumped to Kew Works which became an intermediate pumping and treatment station. 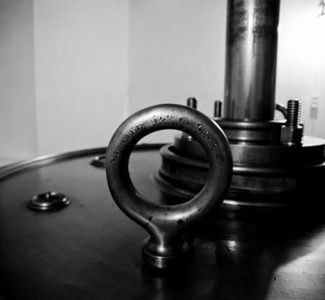 Increased demand was met by the installation of the 100″ engine in 1871. In the meantime the current brick standpipe tower was built to replace the original tower that had been damaged by frost. At this point the works were largely as they are now. Following the replacement of the steam plant by diesel and electric powered pumps the beam engines ceased operation in 1944. 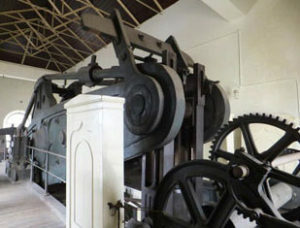 The Metropolitan Water Board, who now owned the works, decided to keep the engines as a museum only removing one of the Boulton & Watt engines to provide exhibition space. The present Trust took over the site, and one by one restored the engines to working order, starting with the Boulton & Watt engine in 1975 and recently with the Bull engine in 2008. In the interests of economy Water companies ceased to use steam engines and a number of these were offered to the Museum. These are now in the Steam Hall which at one time was the boiler house for the Engines in the 1838 Engine House. The museum underwent a major redevelopment during 2013 – 2014. 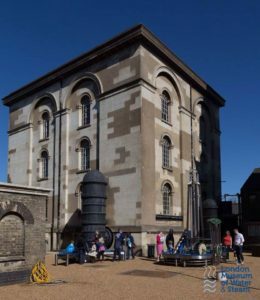 The project was led by the Trust, and was supported by the Heritage Lottery Fund, London Borough of Hounslow, Thames Water and numerous charitable trusts, sponsors and individual donors. 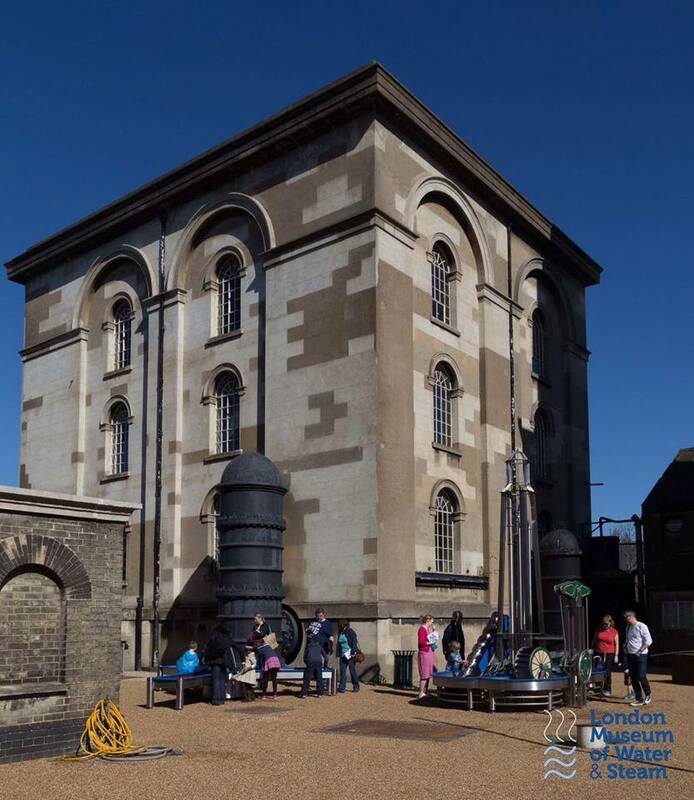 The project included rebranding the museum to reflect its heritage waterworks theme, new educational displays across all areas, bringing the history of the pumping station and its engines to life, a major new gallery exhibition on London’s water supply; past, present and future, new education facilities, new free access cafe and visitor shop, new water interactive exhibits and working models, a new community space, major landscaping and external improvement works, completion of historic building repairs and new locomotive and refurbished fire engine sheds. The project also created a new website, new education program and a three-year activities and events programme designed to engage the widest possible audience with the museum and its collection. 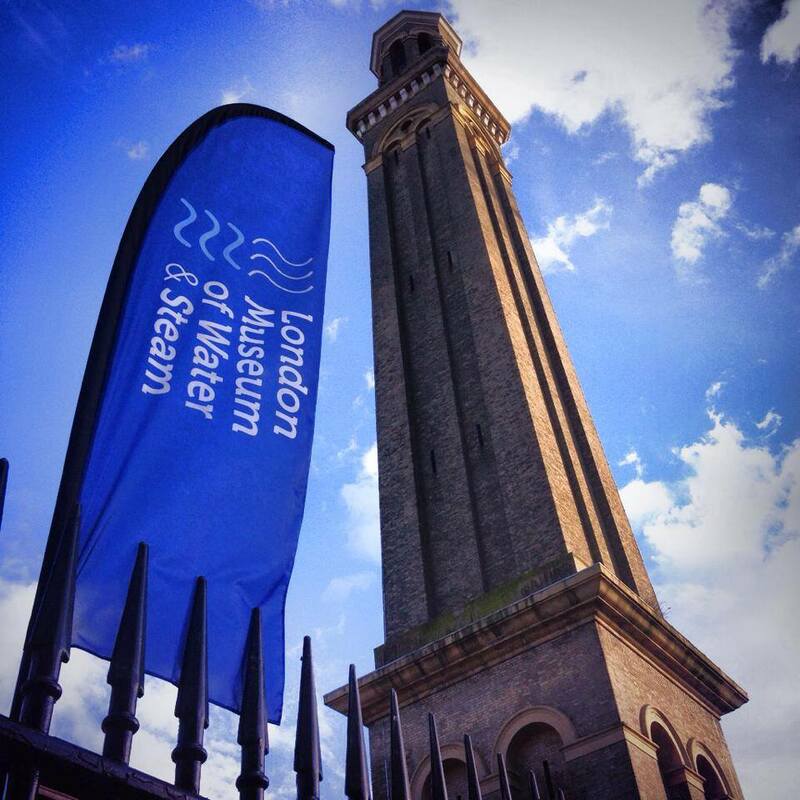 The museum reopened to the public in March 2014 as the London Museum of Water & Steam.